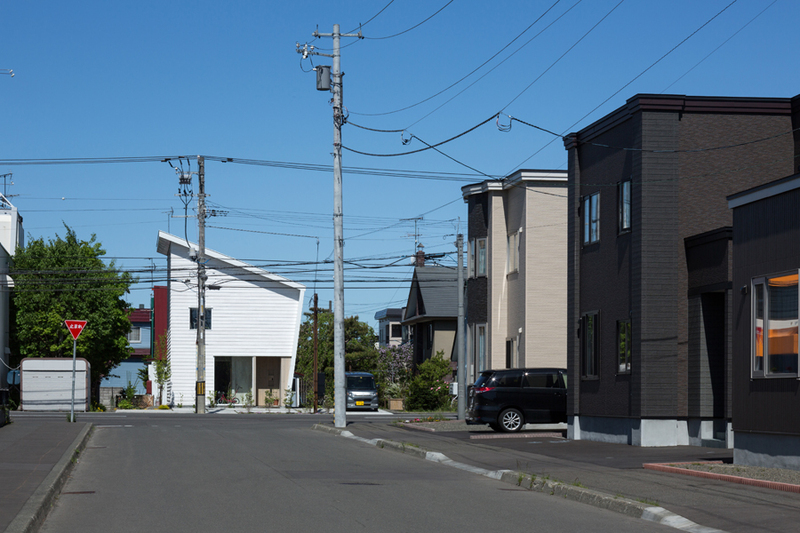 The residential area spreads out in the northern part of Sapporo city. Small house was built on the large site, located at the end of the T-shaped intersection. 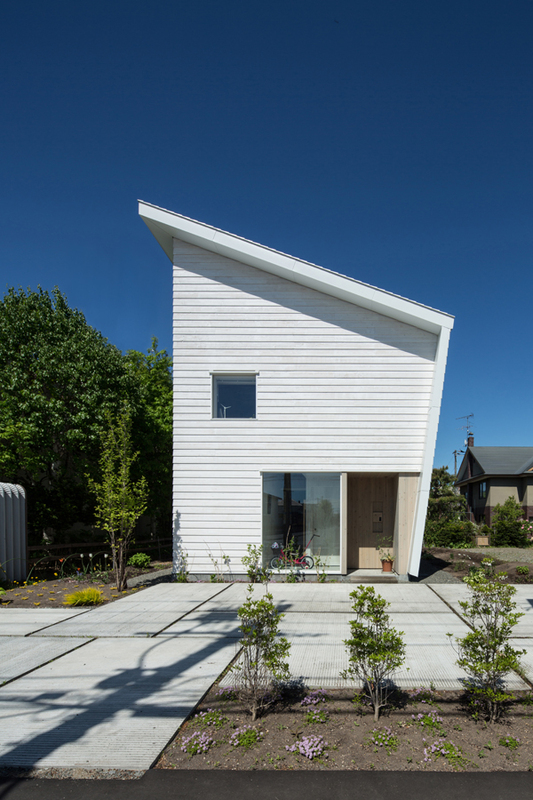 The form of one-direction sloping roof, which is functionally acceptable and can become the local icon, was selected by the reasons of possibility of opening a store using a part of residence in the future, having enough space for snow pile, and accepting the bus stop placed in front of the site. The section of this form, which is to be accepted well by the neighbors, has not only the function of handling the rain and snow outside safely, but also prepares a reasonable path to bring the lights and ventilation inside. 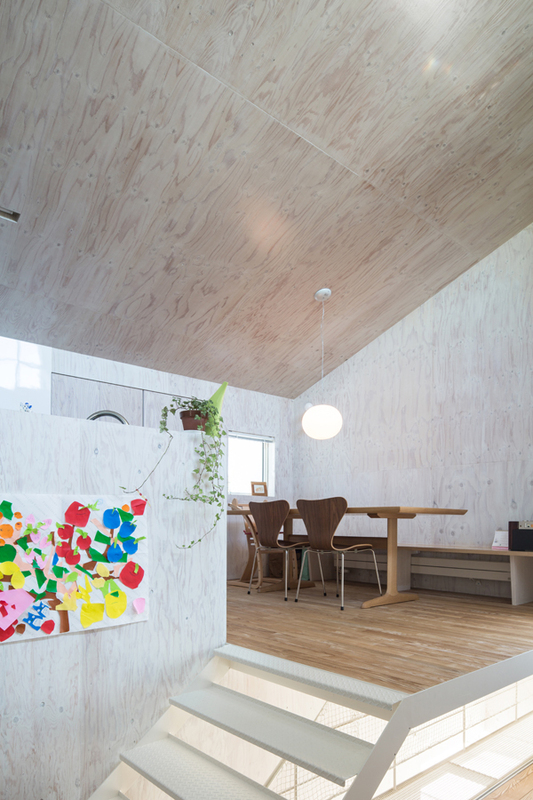 Even in this small space, the residence was aimed to have various expressions where the movement of people, wind, and light actualize, by overlapping the sectional configuration of floor and ceiling creating gravity ventilation, with the flow line inside reflecting the road extending from building front.